24 Oct Which Type of Garage Door Motor Is Best for My Garage? There are three main types of garage door openers on the market: belt driven, chain driven and direct drive. Finding the right motor for your door will depend on your door, requirements and budget. Belt drive openers run on a rubber belt and are just as reliable as chain drives. They are center-mounted and attach to your door via the hockey arm connector. 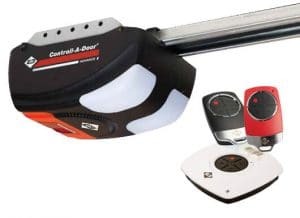 Belt drive openers are virtually silent when operating so if your garage is attached to the house, and you hate the noise involved with garage doors, belt driven motors are a good choice. There are different brands and models to suit all door sizes and weights; however, belt drive door motors cost more than chain drives. Chain driven garage door motors are similar to belt driven; however, they operate via a chain and sprocket. While they are not as quiet as their belt driven counterparts, the noise is not so noticeable. They are a more cost-effective option, and usually, parts are more readily available if a particular component breaks down over time (e.g. gear drive, chain replacement, etc.) Chain driven motors are also center-mounted and attach to your door via the hockey arm connector. There are different brands and models to suit all garage door sizes and weights. The main difference in a direct drive is that it drives direct to the torsion springs. 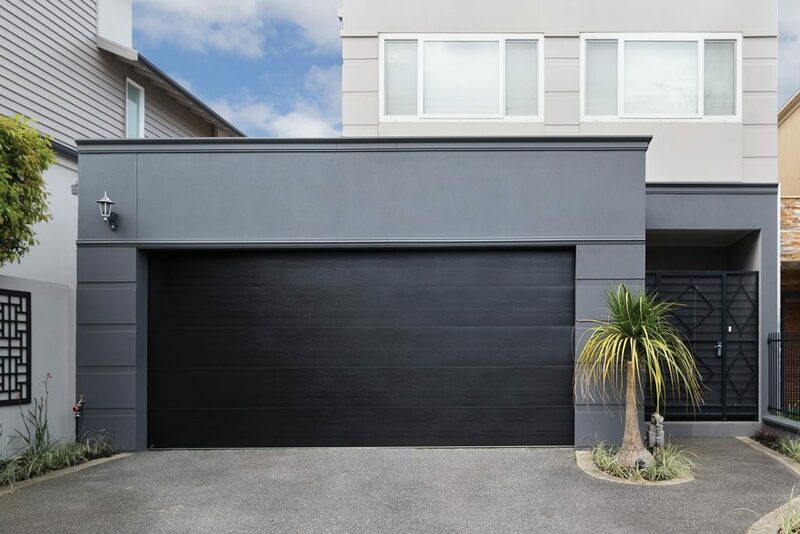 There is no belt or chain, and they are also nicely positioned at the side of your garage door, creating space in the centre of the garage ceiling. The amount of choice is much more limited; however, there are also fewer components to break down as fewer components are used. Direct drive motors are used on roller doors as well as sectional garage doors. How long does it take to install a garage door motor? With any of the above motors, you would expect between 1.5 – 2 hours’ professional installation. Direct drives can sometimes take more time due to the intricacies of the installation. Any professional garage door technician will ensure that the door has been fully serviced before setting your new motor up, as not doing so risks your new motor being worn down in a short space of time. What’s the difference in lifespan? The difference in lifespan is the same for any garage door motor; the motor is only as good as its servicing – as long as the one you have installed is suitable to the garage door size/requirements. Put simply, if you had a Porsche Boxter and a Hyundai Getz, but didn’t regularly service either, they would both develop issues at the same number of kilometres. Your door is no different. That’s why we stress the importance of regular servicing; any motor that is running a heavy, unserviced door will break down due to excessive wear and tear. When your garage door motor is installed, the door should have a full service by professional technicians to ensure it’s running correctly from the start. Most garage door openers are expected to last between 9–15 years when cared for correctly. 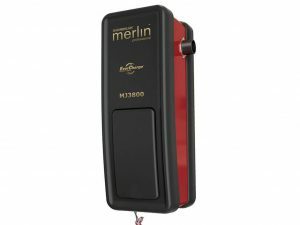 Which brand of garage door motor should I choose? This operator can also be accessorised with PE beams, battery back-up for when you have a power failure, smartphone operation pack via the B&D app, auto lock feature * on B&D Doors, keypad entry and pet safe mode. 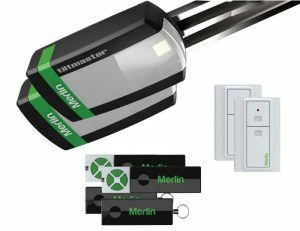 The Merlin Tilt Master can be purchased with additional accessories such as battery back-up for when you have a power failure, PE Beams and keypad entry control. When installed by Guardian Doors, we lodge your warranty on your behalf, ensuring coverage from installation. The Guardian 21230L motor can also be upgraded to include PE Beams and an entry keypad to save on purchasing remote controls, and if purchased by Guardian Doors, comes with an extended 5-year warranty. Additional accessories such as PE beams, keypad entry control and slow start/stop features are available. Additional accessories include battery back-up systems, keypad entry systems, pet safe feature and PE Beams (to suit your requirements). 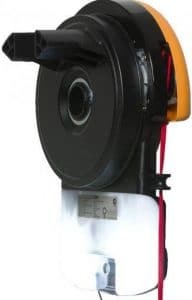 If you’d like to replace or upgrade your garage door motor, we recommend calling Guardian Doors to discuss your needs. We’ll present you with all the options available, enabling you to make an informed decision on the best opener for you and your household.